Mackenzie 88 is a freehold 55-unit development located along Mackenzie Road near Selegie Road in District 09 of Singapore. Mackenzie 88 is within close proximity to amenities and shopping like the Tekka Market and Food Centre, Sheng Siong Supermarket, Plaza Singapura and the popular Orchard Road shopping belt. Educational institutions like Saint Margaret's Primary School, Lasalle College of The Arts and Schools of the Arts (SOTA) are located near to Mackenzie 88 too. Mackenzie 88 is accessible via the nearby East Coast Parkway (ECP) and the Central Expressway (CTE). Mackenzie 88 is also a stone’s throw from Little India and Dhoby Ghaut MRT Stations. Near the trees and the city. Excellent access to the island. Great Apartment for single or couple who likes city living. Great choice for single or a couple who likes city living. Exclusive project with just over 50units, enjoy privacy at your comfort in this exclusive unit with large balcony & with pool view. Mackenzie 88 is within close proximity to food and shopping including Tekka Market & Food Centre, The Verge and Sheng Siong Supermarket and 24hrs Mustafa Centre. Mackenzie 88 is accessible via the nearby Little India Mrt Station, just 5mins walk away. Various buses to Cityhall and town. 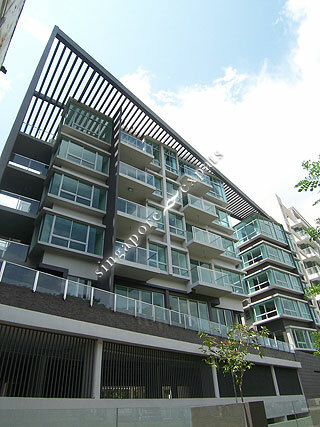 Very near to Little India train station, Plaza Singapura, Bugis Junction and KK hospital. Love the location - peaceful and quiet yet just a few minutes from MRT station, Orchard and amenities. Saves you hundreds a month on transport. It is also an expat enclave - usually young working professional with no children. Super convenient location near the MRT and bus lines. Small 7-floor condo building with a gym + swimming pool.